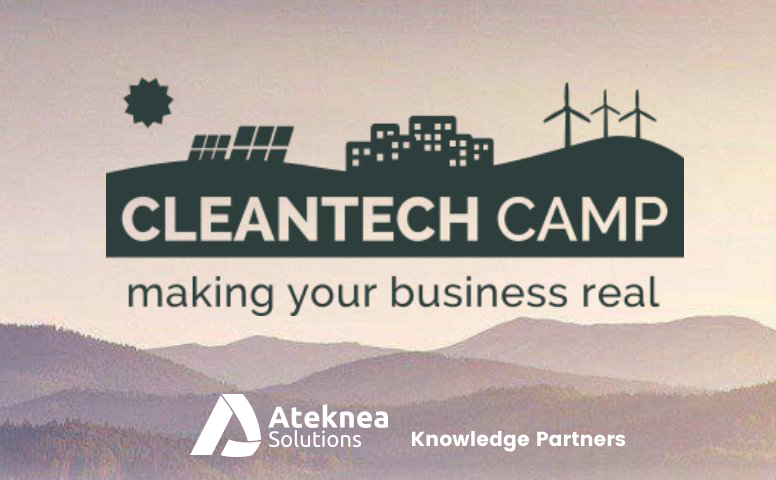 Ateknea Solutions will collaborate in #CleanTechCamp2018 as a Knowledge Partner. #CleanTechCamp2018 is an Innoenergy programme that supports sustainable projects with the potential to impact the global energy field by creating smarter and more sustainable cities. As a Knowledge Partner of the #CleanTechCamp2018 Program, our goal is to help companies develop their innovation projects, creating solutions that will lead to a fully sustainable energy industry and create better lives for everyone, by offering them our extensive experience in helping companies to transform their ideas into valuable, profitable and feasible market solutions. As part of the programme, we will participate as speakers in the fundraising field. We aim to use our strategic experience in gathering financial contributions for new projects in order to guide participants in seeking funding to commercialize their environmentally friendly products and technologies. The programme will start on March 13th with training sessions and workshops, with the final event taking place at the end of June 2018. If you are a potential start-up or unincorporated company with a business project in the clean energy sector based in Spain and Portugal, this is your big opportunity! Find out more about the #CleanTechCamp2018 programme at http://www.cleantechcamp.com and join us in creating a better quality of life for us all.